Abdou Issa and Ibrahim Sani discuss scripture under a mango tree. Ibrahim was led to salvation in Jesus Christ after Abdou preached the Gospel in his village. Samaritan’s Purse-trained evangelists are helping villages reap a bountiful harvest of crops. They are also seeing fruit as the Gospel takes root in the lives of some. 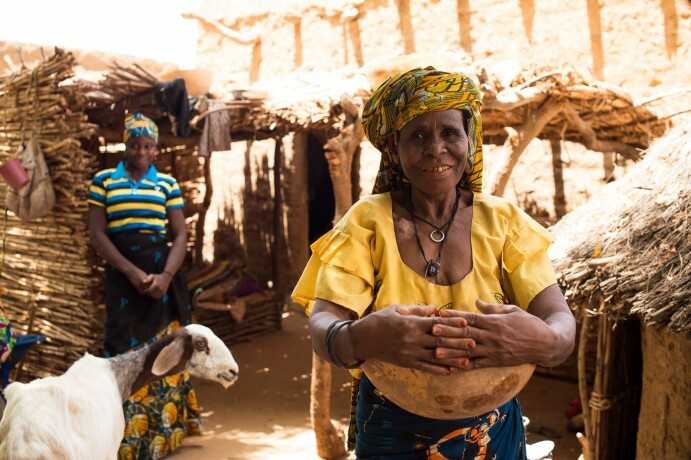 These men and women—all from local churches in Niger—move to remote villages for extended periods of time and teach communities how to make positive changes in the areas of sanitation/hygiene, health/nutrition, and agriculture. In the process, the evangelists form deep friendships and share the Gospel with their new friends. When Ibrahim received Jesus as his Lord and Savior, he was, at first, quite cautious about telling others. But after Abdou and Ouma showed the Jesus film in his village, Ibrahim decided to be more bold in sharing his faith. He now shares the Gospel whenever he can. Women gather for a Samaritan’s Purse agriculture training in a rural village in Niger.